So you're heading to Bangkok but have no idea where to stay? Then you've come to the right place because I've made it easy for you. 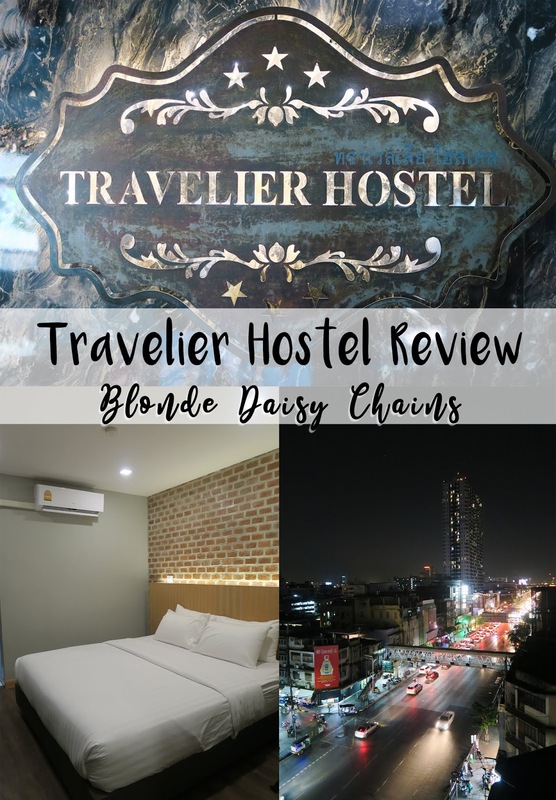 For this post I've been lucky enough to team up with Travelier Hostel, located in the heart of Bangkok and within a 7 minute walk away from Ratchathewi BTS Skytrain Station making it easy for you to reach anywhere you'd like to go. The hostel features modern and vintage decor with wooden flooring and bright, eye catching furniture it really did stand out as a stylish hostel with a unique interior design. We arrived at 8pm after a long, delayed bus ride from Siem Reap. We were greeted by the hostels polite security door man who helped us carry our bags from the taxi into the hostel (which made a big impression on us, as no other hostel had someone on security so far). It made us feel super safe in a new city. Check in was easy - all we had to do was show our passports to the lady at the reception desk who asked us about our trip and offered us advice on what to do that evening, we were given our electronic room key and directed to the lift. By far the easiest check in process so far on our trip to which was great as we couldn't wait to relax in our room before heading out. The room was more suited to a hotel, but we loved having a luxury stay within a reasonably priced hostel. 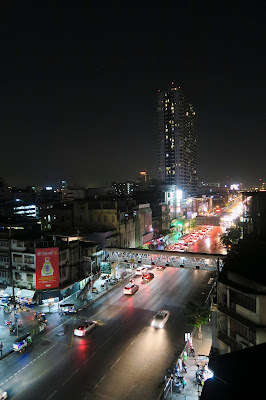 We stayed in a private room, with en-suite bathroom and a stunning view of Bangkok's luminous night landscape. The room was simplistically minimal in design which made the room look deluxe, and along with the bigger than king size bed you could say we were a little bit more than excited to rest our heads tonight! The bed was so big I had to stand outside of the room to take a picture. The en-suite had an elegant marbled tile effect running through 3 of it's walls, came with a strong, hot shower and also included shampoo, conditioner and body wash pumps. 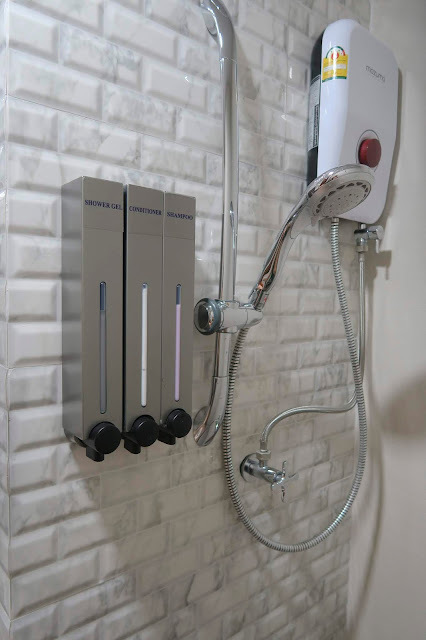 The shower room was spotless, very up to date and smelt fresh too. Our hostel included fresh body and face towels everyday (washed and ironed!) along with fresh bedding, even folding my clothes I left on the floor and putting my teddy Scruff in the center of the bed! I've never had service like this back home and wasn't expecting it in SEA - The team went above and beyond. We even had a full size hair drier, which makes all the difference for a girl with a lions mane like myself and fresh water to take our every day. 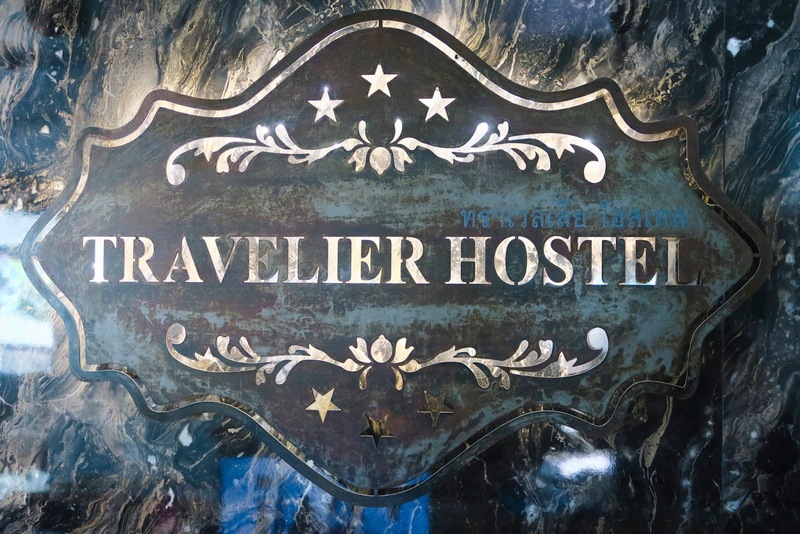 Included in the price of the stay is a buffet breakfast, Breakfast ran every morning from 7am-10am and included fried rice, curried chicken, cereals, toast with homemade Jams, eggs and fruit. 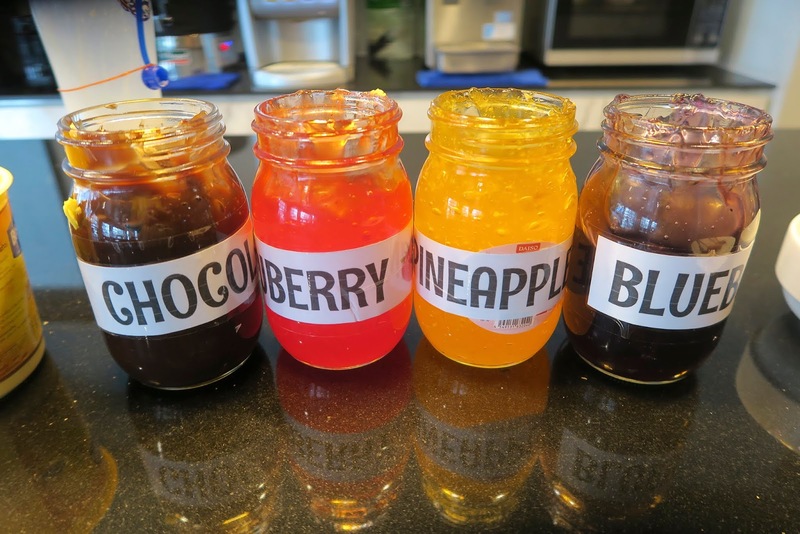 Another unique feature from Travelier Hostel is that they had a fully loaded coffee machine where you could choose from Hot chocolate, to Moccas, to Americanos they had everything and all for free. Breakfast got a 10/10 from us! On the same floor as breakfast also included a large common area for people to chat, work or just watch a film on the huge television they have to offer. 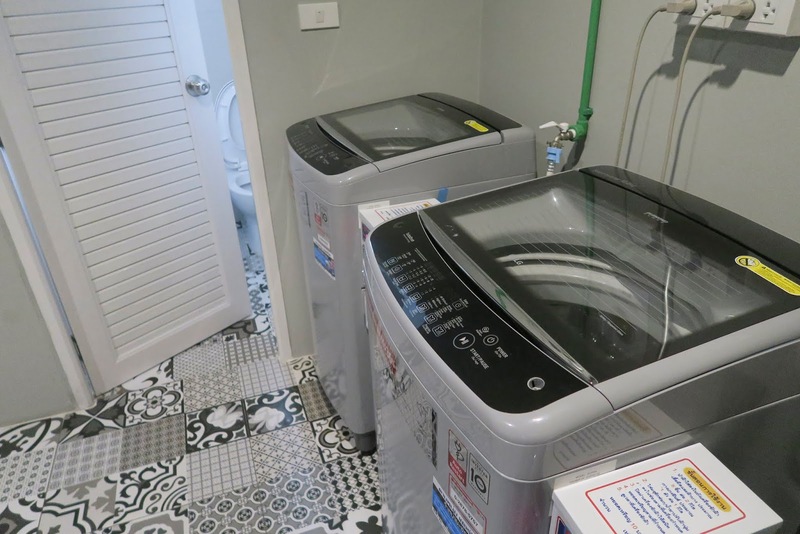 There is also a laundry room with two large barrel washing machines (40thb per wash, including detergent), a tumble drier (10thb per 10 minutes) and an iron(free of charge) for our use which we took full advantage of. The hostel overall was very spacious and quiet which made it perfect for us as a couple who wanted some privacy after staying in dorms for a few weeks. 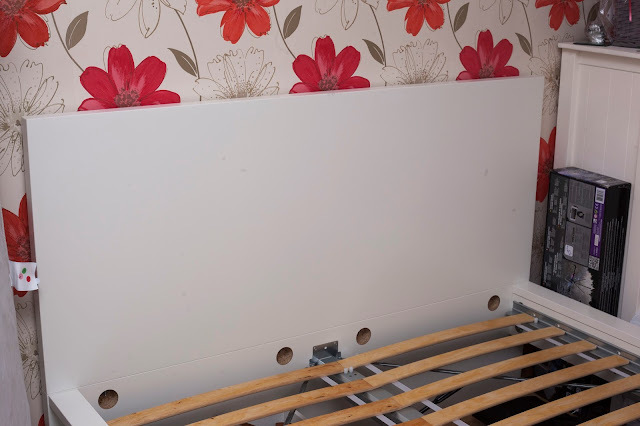 The staff were friendly and polite and didn't hesitate to help us with any questions or needs we had. There's a super market across the road so anything the hostel didn't offer that we needed was only a 1 minute walk away. The wifi is strong as they have a different modem for each floor meaning that you can even watch Netflix on the top floor without any issues. Overall we loved our luxury stay in Bangkok and couldn't recommend Travelier Hostel enough. 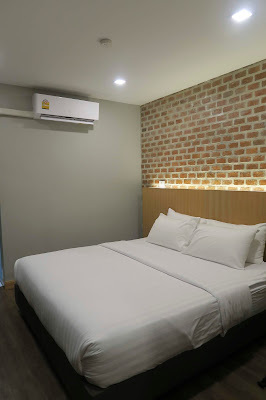 With rooms starting at just £7 a night it'd be silly to miss this out of your Bangkok itinerary, even just for one night of treating yourselves. 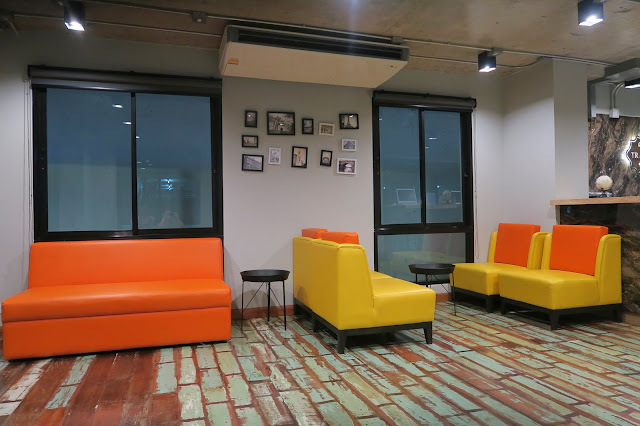 You can book your stay on a number of websites including Booking, Hostel world, and Agoda. If you use THIS LINK and book via their bookings page you will get 10% off your stay with them too!